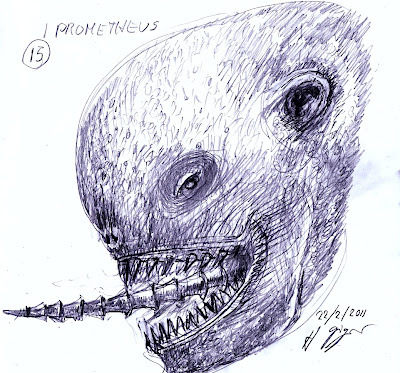 Giger was able to contribute some sketches for Ridley's Prometheus project. However very little information has been given to indicate what these sketches were about. 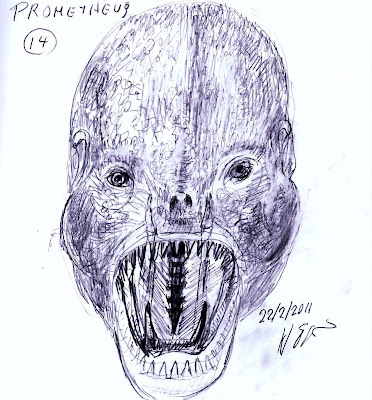 However it can be deduced after seeing the Fifield Monster artwork by Ivan Manzella that this creature was supposed to be the Fifield Monster. 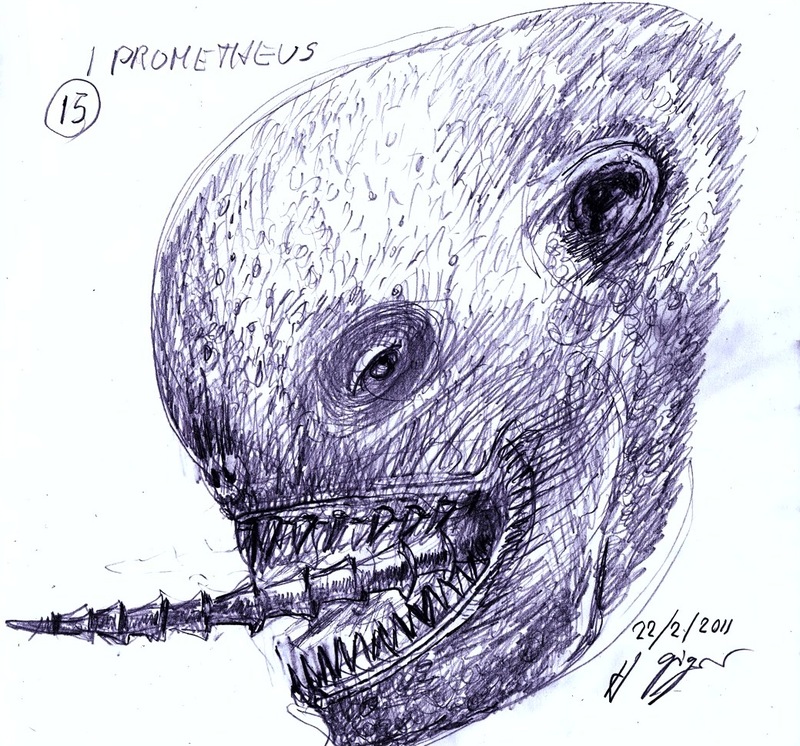 Giger produced the drawings on the 22nd of February in 2011. We don't know what he was asked to do or for what reason. From the from of the face we see the creatures long spindly tongue inside and that it has two rows of teeth, outer row are small sharp teeth and the lower inner teeth display a row of teeth with very large sharp canines. The nostrils and the eyes are considerably bat like.